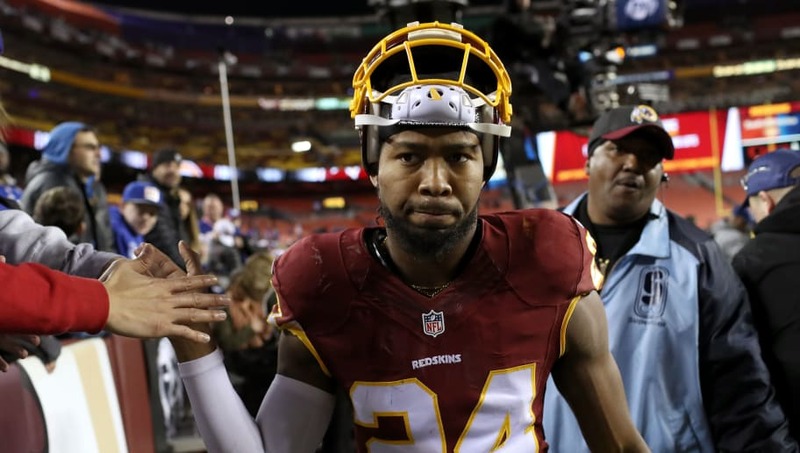 ​As long as Josh Norman has a mouth, you can best believe that he is going to be talking smack. As of recently, ​the Redskins cornerback went out on a tirade, calling out wide receivers Odell Beckham Jr. and Dez Bryant. You heard it. Josh Norman is going to let all hell break loose. This isn't the first time that we've seen this from Norman. He's had his history with the two receivers in the past and is known for his trash talk. I'm all about getting into the opponents head, but at some point Norman needs to cool it down. He's already walking on thin ice with league officials because of what's happened in the past. They are watching every single one of his moves. More problems this season could lead to fines and eventually suspensions. What makes matters worse? He will be going up against Beckham and Bryant twice this season. It would be different if Norman shut down Bryant and Beckham on a regular basis, but in reality, he hasn't been great against the two. Both receivers caught for over 100 yards in games against him last season. There's no question that Josh Norman is a good NFL cornerback, he's shown us that since his time with the Panthers. But at some point, he needs to learn when to keep his mouth shut. His antics could not only affect himself, but the Redskins as a whole. If Norman has to miss time because of suspension this season, it hurts the entire defense. The Redskins cannot afford that, especially if they want to contend in 2017.